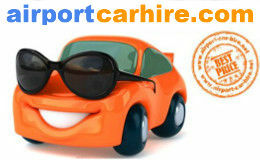 Olbia Airport Car Hire Sardinia provides cheap car rental from the following rent a car companies. 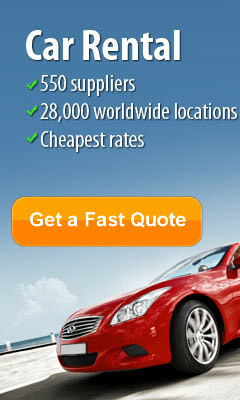 Hertz, Avis, Alamo, Budget Dollar, National Car Rental, Sixt, Thrifty Europcar. We shop around to get you the best car hire prices in Sardinia. Choose for open top jeeps, Convertibles, economy cars and mini Fiat 500 all at amazing prices. 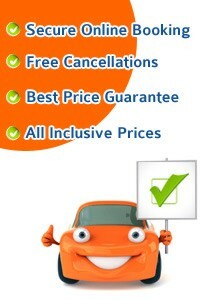 Take this opportunity to get the best car rental deals in Olbia Sardinia... CHEAPER. Hotel Don Diego, Localita' Costa Dorata, 07020 Porto San Paolo Part of 60.000 m² of green valley, Hotel Don Diego is a 4-star hotel set directly on the coast of Sardinia, just 12 km south of Olbia Airport. At Hotel Don Diego you will enjoy a fully equipped private beach and splendid views of the flower gardens, Costa Dorata Bay and Tavolara Island. Providing a variety of room types, Hotel Don Diego is the perfect getaway for all types of travellers. Here you can also find free public parking, free Wi-Fi in the hotel’s business centre, a fitness centre and a swimming pool with panoramic views. Relais Fenicottero Rosa, Loc. Porto Taverna, 07020 Porto San Paolo Relais Fenicottero Rosa is close to the prestigious tourist centre of Porto San Paolo and a few minutes' walk from Porto Taverna Beach, with its fine sand and crystal-clear water. Just 15 minutes' drive from Olbia and 10 minutes' from San Teodoro, the Fenicottero Rosa is set in a peaceful area, with typical Mediterranean vegetation. A varied breakfast buffet is served every morning. This includes sweet and savoury options and selected local products. Hotel Gabbiano Azzurro, Via Dei Gabbiani Snc, 07020 Golfo Aranci Offering a quiet location and its own private beach, Hotel Gabbiano Azzurro is set right on the seafront along Sardinia's Emerald Coast. It features 2 swimming pools, one with jacuzzi. Rooms at Gabbiano Azzurro are spacious and elegantly decorated. All air conditioned, they also come with a mini bar and TV with satellite and pay-per-view channels. Each room has a balcony overlooking the Mediterranean Sea or the village of Golfo Aranci. Gabbiano Azzurro Hotel is 30 minutes' drive from Olbia Airport. The white sandy beaches of Porto Cervo and Porto Rotondo are also just a short drive away. Doubletree By Hilton Olbia - Sardinia, Via Dei Lidi, Loc. Tilibbas, 07026 Olbia The modern Doubletree Hilton offers a free swimming pool, free Wi-Fi access and a beautiful sea view on the Sardinian coast. Olbia's historic centre is just a 10-minute walk away. Hilton Doubletree's air-conditioned rooms all have an LCD HD TV with Sky channels and free tea and coffee-making facilities. Most have a furnished balcony overlooking the sea. Guests at the Hilton have a range of free facilities, including a gym, car park and beach shuttle bus. Doubletree by Hilton Olbia - Sardinia is located in the city's industrial area, just a few kilometres from the Pevero Golf Club and the popular Emerald Coast. 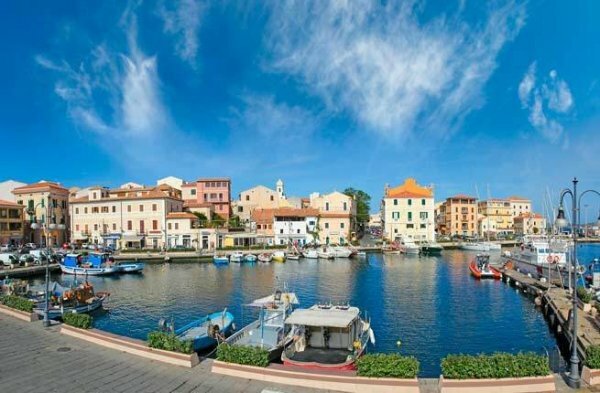 Olbia Airport and harbour are both just a short drive away. Mercure Olbia Hermaea, Via Puglie, 07026 Olbia The Mercure Olbia Hermaea is located in the heart of Olbia, just 1.5 km from the port . It offers air conditioned rooms with minibar, TV and private bathroom. The Mercure has a restaurant serving Sardinian specialities, and 2 bars. The spa at the Olbia Mercure Hotel offers a sauna, Turkish bath, jacuzzi and indoor pool. A shuttle service is a available to nearby beaches. Olbia Costa Smeralda Airport is 5 km from the Olbia Hermaea Hotel.